The two day Bumdra trek follows a little trodden trail up from Paro Valley to camp in a meadow beneath the picturesque Bumdra monastery with superb views across the valley and surrounding mountains. The descent takes you past the Zangto Pelhri Monastery, under a waterfall and down a staircase hewn from the rock to reach Taktsang Monastery. This is an approach to the Tiger's Nest that very few people get to experience. 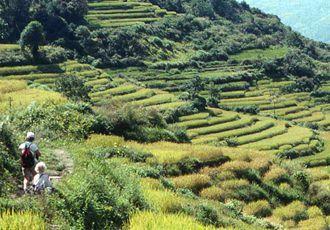 For a glimpse of authentic Bhutanese rural life, spend a night or two in a village homestay. 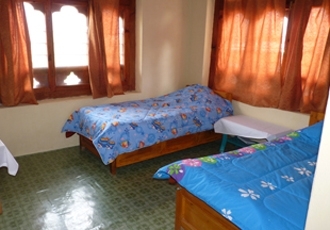 Accredited by the Bhutanese Tourist Council, we have several homestay options in the beautiful Gantey Valley that offer simple accommodation together with extras such as hot stone baths, cookery classes and farm tours. The fertile valleys of Bhutan offer numerous opportunities for delightful short walks of varying duration from just an hour or two to half and full days.The valleys around Paro, Thimphu, Punakha are criss-crossed with paths and dotted with small villages and chortens, whilst the sacred Bumthang region has many monasteries and temples that provide points of interest for walkers. You really don’t need to be a hardened trekker to explore the countryside and see a little-changed way of life. 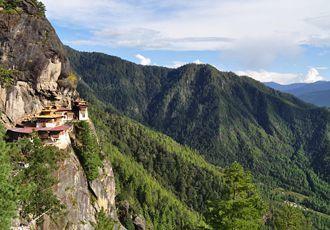 Taktsang or the Tiger’s Nest Monastery, is Bhutan’s most famous sight. 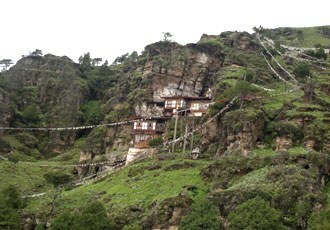 Perched on the side of cliff some 600m above the Paro Valley, the only way to get close is by foot. It’s a steep walk uphill to firstly reach a tea house from where there are great views as well as welcome refreshment and then a further walk to reach the monastery's gates. It’s worth the effort though, to stand on the same spot where Guru Padma Sambhava landed on the back of a tiger and defeated five demons! Browse some of our favourite experiences in Bhutan, and add any that take your fancy to your wish list. 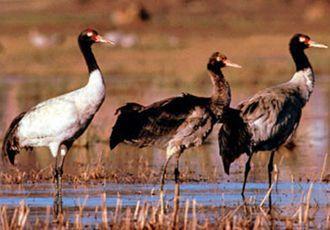 During the winter months, the Gangtey (Phobjika) Valley becomes home to hundreds of rare Black-Necked cranes who over-winter here. These majestic birds are revered in Bhutan and enjoy protected status. There’s even a festival to celebrate their arrival every November. 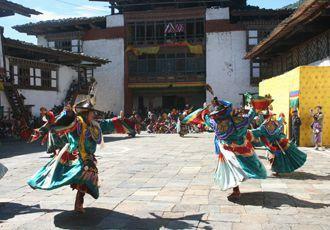 Bhutan is renowned for its amazing festivals that assault the senses with a riot of noise and colour. Festivals, or tsechus, bring together the religious and secular in spectacular celebration and are the highlight of the year in towns and villages across the country. The Paro and Thimphu festivals, in the spring and autumn respectively, are the centrepiece occasions but smaller events are equally as enjoyable. 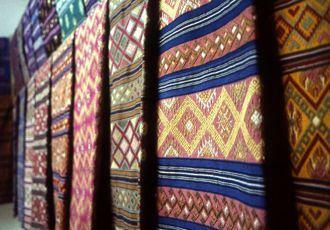 Thimphu is a great place to shop for handicrafts and find out more about the traditional methods used to make them. At the national textile museum there are exhibitions of weaving techniques with the chance to buy cloth and finished items; the voluntary artists studio is the place to see and buy work by budding Bhutanese painters and the Handmade Paper Factory has a great range of paper products to purchase which make ideal gifts to take home. 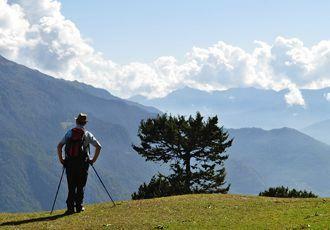 The Druk Path is the perfect introductory trek in Bhutan. 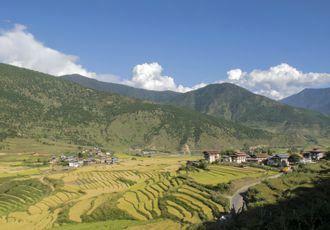 It takes five days to walk from Paro to Thimphu following an ancient mule path through magnificent mountain landscapes. At over 4,200m, it’s not an easy option, but the varied scenery of virgin forest, high ridges, pristine lakes and panoramic views, make it well worth the effort. Nights are spent ‘under canvas’ giving a real taste of adventure and splendid isolation. 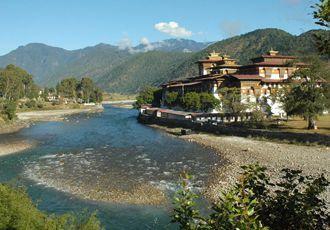 Spectacular Punakha Dzong, set at the confluence of two rivers, is one of Bhutan’s most beautiful sights. The renovated interior is a wonderous sight and a showcase of traditional Bhutan architecture and craftsmanship. The curious looking takin is the national animal of Bhtuan and legend has it that the takin was created by the Divine Madman, Drukpa Kunley, when he combined the head of a goat with the bones of a cow! 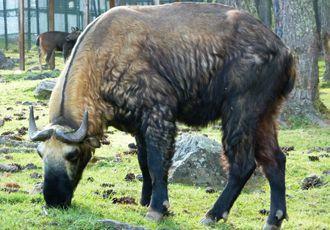 It actually looks more like a moose crossed with a small cow but see for yourself at the takin reserve close to Thimphu. The Migoi National Park in eastern Bhutan is the only yeti reserve in the world. However, the Bhutanese yeti’s power of invisibility may explain why none have yet been spotted. Don’t worry though, your trip won’t be wasted as you can meet the friendly Brokpa people from the villages of Merak and Sakten instead. With over 600 different species of birds, Bhutan is a paradise for birding enthusiasts. 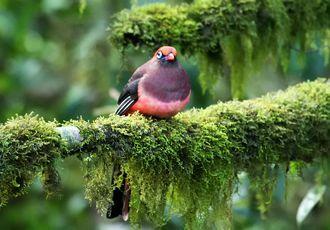 Prime among the many places to spot rare and endemic birds is the Yongko La. The pass, which can be driven over, is rightfully acknowledged as one of the great birding roads of the world, where pristine forest landscapes offer endless opportunities to see exotic birds in their natural habitat.